One day a year, the huge, circular driving range at Orange County Golf Center near Orlando turns into ground zero for the explosion of new and improved golf gear hitting the market just as folks are looking for ways to leave the deep winter freeze behind — and stoke their fires to tee it up. That’s Demo Day. 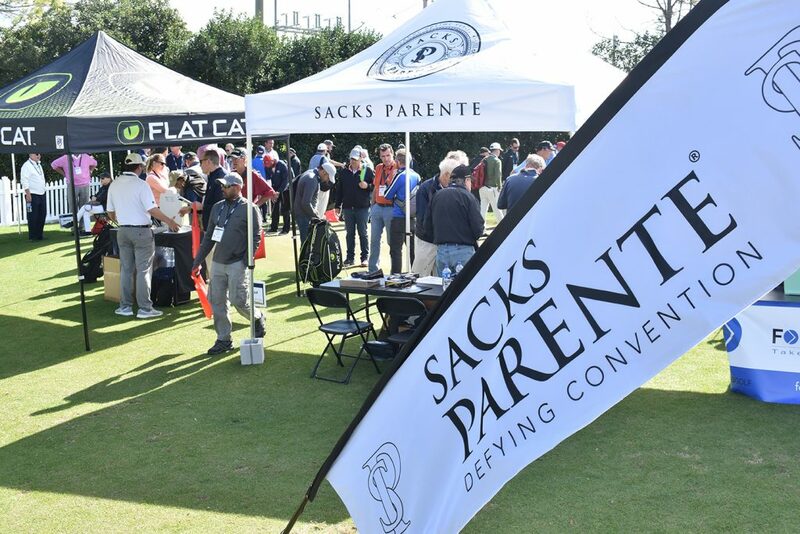 And so it was at today’s edition, which opened the 2019 PGA Merchandise Show to the sound of golf balls whistling through the breeze, spanking-new clubheads striking the turf and the chatter of thousands of PGA teachers, managers and buyers over what equipment would find its way into their pro shops. Companies large and small vied for attendees’ attention with music, giveaways and even a cold beer here and there. Here are five products that caught our eye; read more about them in the coming weeks online and in the May-June print edition of Golf Tips. Two guys named, you guessed, Sacks and Parente set out to shake up the putter world by moving the balance point of their brand new blades and mallet much further down the shaft, closer to the putter head which, after extensive testing, creates a high moment of inertia that all but eliminates twisting at impact no matter where on the face the ball is struck. The gorgeous “true blade” Series 39 wand harks back to the classic putters of yore while incorporating the latest in materials, including super dense tungsten inserts in the heel and toe. After an initial rollout in Japan they’ll be available later this year in the U.S.